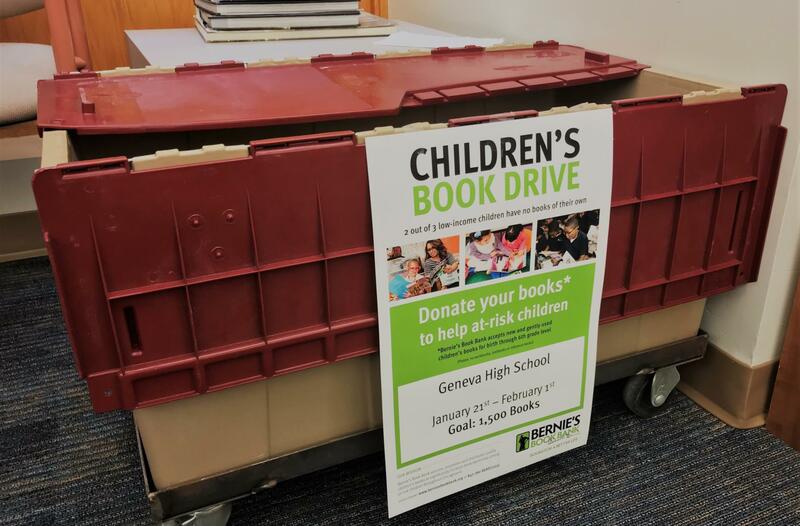 FEA - Educators Rising Club at Geneva High School is teaming up with Bernie's Book Bank to collect books for children ages birth through age 12 from Jan. 22- Feb. 1 at Geneva High School. Drop-off locations are in the main office and counseling office (and students' second-hour classes at GHS). The goal is to donate 1,500 books by Feb. 1. Quality books for ages newborn to sixth grade will be accepted. The following will not be collected: textbooks, activity books, coloring books, video game guides, young adult, adult or reference books. The club asks that families please consider going through your children's books at home and donating to this cause! Educators Rising Club provides opportunities for students interested in becoming teachers to explore the profession through speakers, volunteer opportunities and projects using different learning styles. The organization is passionate about cultivating the skills students need to be successful educators.